Those of us who perpetually burn the midnight oil often come to cherish those quiet hours of early morning, which seem to transform the world into a private land of contemplation, shared by a scant few souls. 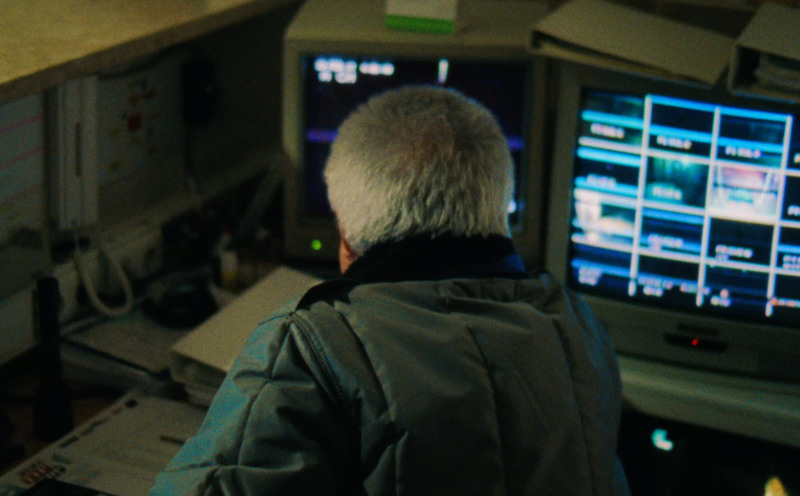 João Retorta beguilingly evokes this feeling in Random Acts short Uma Da Manhã (01 AM) – an ode to his hometown of Lisbon and the people who inhabit the night after the last train has left the city. DN asked the London based João to explain how distance and memory shaped this cinematic reconnection with his roots. The idea for the film was born from a desire to go back to my roots and to reconnect with my hometown, Lisbon. I’ve been based in London for the past 6 years and the exponential growth of excitement around Lisbon and its scene made me realise how much I’ve lost touch with the city. So, I wanted to go back and create a personal film set there. Not a direct reaction to the buzz, but a film about my perception of the city – ‘my love letter to Lisbon’, if you like. 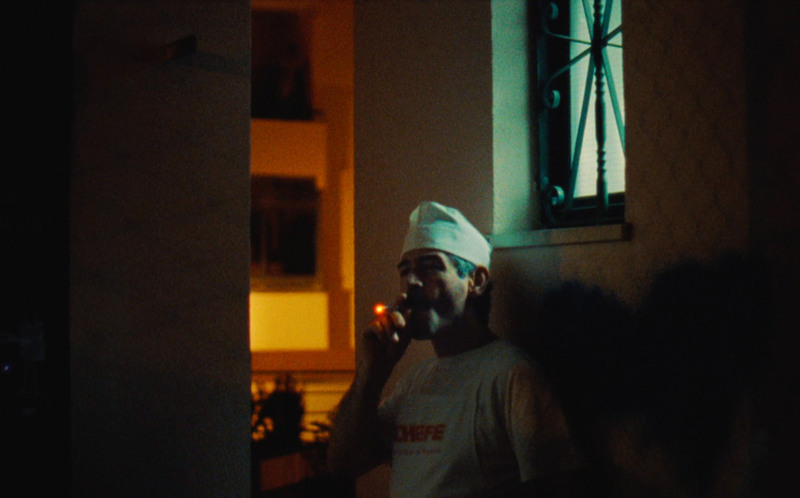 I wanted to create a film that lives in a limbo between documentary and fiction – a panoply of vignettes, both staged and documented, that depict the human side of the everyday Lisbon – with its individual and contrasting slices of life showcasing the city’s different generations and walks of life. A juxtaposition that I wanted to enhance even further with the film’s soundscape and soundtrack. I wanted to create a film that lives in a limbo between documentary and fiction. The film is set at 1AM for two very particular reasons. Firstly, I’m fascinated by night, its atmosphere and romance. But most importantly, 1AM is the time when the last metro departs from the city centre. The moment when streets get quieter and most people fall asleep. But not everyone. In Uma Da Manhã (01 AM) we witness Lisbon’s ‘evening dance’. It’s an ode to the city’s late night workers and late night fun chasers. The film was shot entirely on Kodak 16mm by the great Portuguese Cinematographer Vasco Viana and our aim was to create a highly-photographical experience. I wanted every single frame to be strong enough to almost be able to live by itself and the film to feel like a series of photographs. I was interested in treating each scene, each vignette, as its own little narrative gravitating towards our bigger picture. An approach that was very informed by the work of DiCorcia. We shot the film over 3 long nights a bit all over the city and its suburbs. The casting is mainly composed of friends and family – my cousin, both my grannies, etc. – and the locations are mainly places from my childhood and adolescence. We went to it with a solid plan of action and a rigid schedule, but some elements – such as religion – came to mind on location. I completely forgot how religious Lisbon is, especially the older generations, but the more places we visited it became quite obvious that it was something I couldn’t shy away from. I embraced it fully and enhanced its presence even further in the edit. I wanted every single frame to be strong enough to almost be able to live by itself. The film was cut back in the UK by Charlie Reddie at Homespun. It was the longest stage of the whole process as we had a bit of back and forth until we found the pace and mood we wanted for the film. Long, yet incredibly rewarding and satisfying once we nailed it. Big up Charlie! I go back to Lisbon fairly often, but I’d never properly shot there, which I guess makes me have a different outlook on the city. What once were the everyday, boring mundane things, now look and feel quite special to me. The little things you know – the quiet streets, my grannie watching telly, the old football pitch I used to play football on. But especially considering the time we finally got around to shoot the film. I had just lost my grandad a month and so before. He was a key figure to my life and I had planned this film with him being in it. One of the key ‘characters’, if you like. So it was incredibly emotional and magic, in a weird way, as I was revisiting all these places from my youth whilst mourning his passing.